thank you BarbS, I very much appreciate your kind words. I love it!!!! From the color t o the finished product. I love the cross stitch stitch. You di DC a superb job. Are you going to sell the patterrn? Thank you for asking if I will be selling the pattern, so flattering, but no… it is a very simple crochet stitch combination so I will try to get a write up on my blog here very soon. 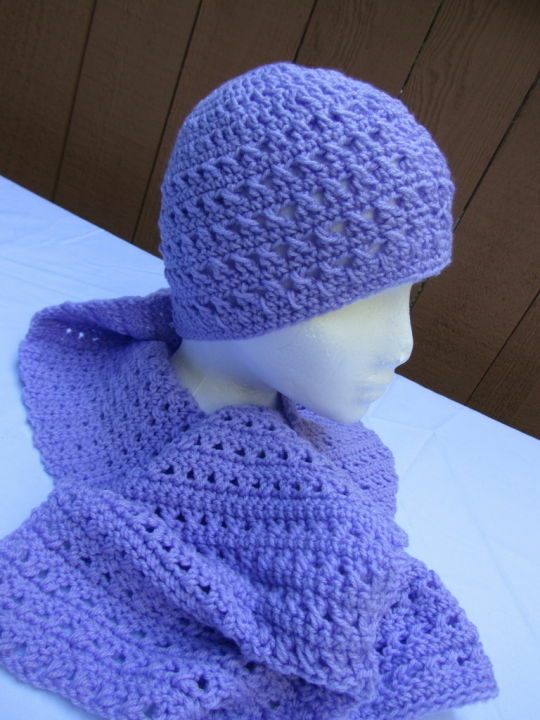 I do have to make another hat tho, as I gifted the hat and scarf to a young friend.